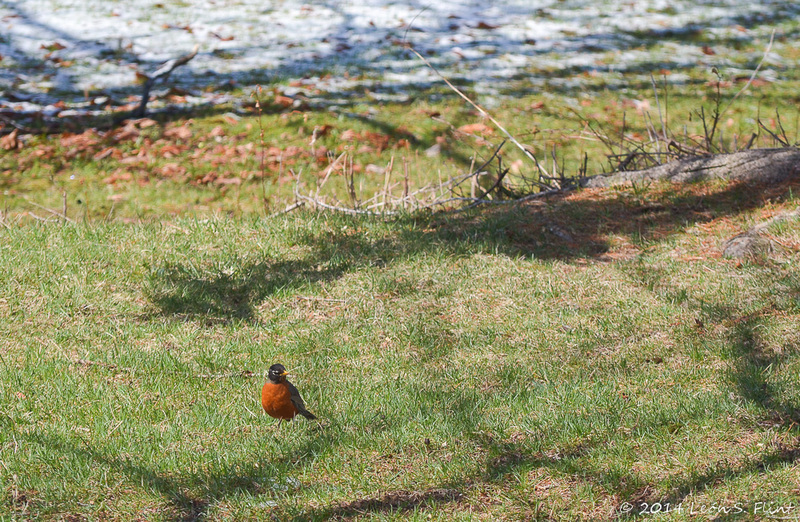 A robin sat still in one spot for the longest time as if bemused by the change, wondering what happened to the lovely warmth of the past few days. Still, a bird’s gotta do what a bird’s gotta do. I’m sure it was all just a late April Fool’s joke, and this was absolutely the last snow before spring comes to stay, right? 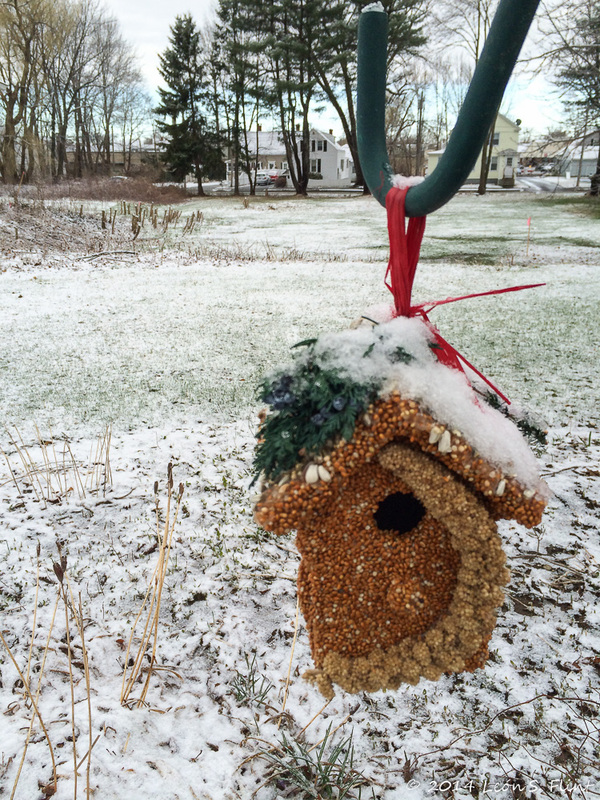 Categories: Uncategorized | Tags: Maine, robin, Saco, snow, spring, worm | Permalink. Right. It better be right. Excellent shots….that worm one is super amazing. I shouldn’t have put my wool socks away quite so early. Grrrrrrr. Some jokes are just not funny! Looks like that early bird was successful. I absolutely LOVE the last photograph here, Lee. Fantastic timing on your part! Great shots, Lee. 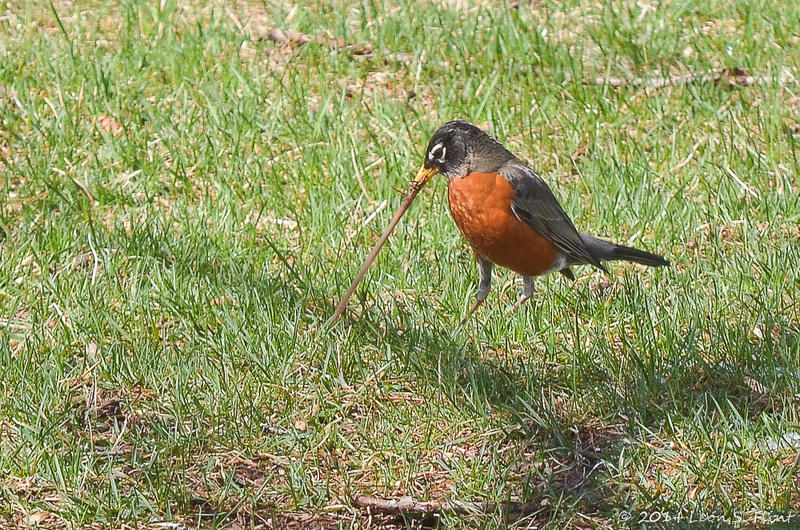 Quite the tug-of-war between that worm and Robin. We got a big dump of snow on Sunday. Fortunately the trees aren’t really leafed-out yet. But everyone is really ready for Spring! Let’s hope so. I had a good two inches on the ground yesterday morning, so NOT funny. I don’t want to burst your bubble, but I think there are no guarantees left when it comes to the weather. We had the same thing happen here. The good news? It’s warmer and it’s melting. Great photos! Perfect ending . . . .got the worm, indeed! Absolutely! Perfect capture of the robin getting the worm. Of course! Spring REALLY is here this time. 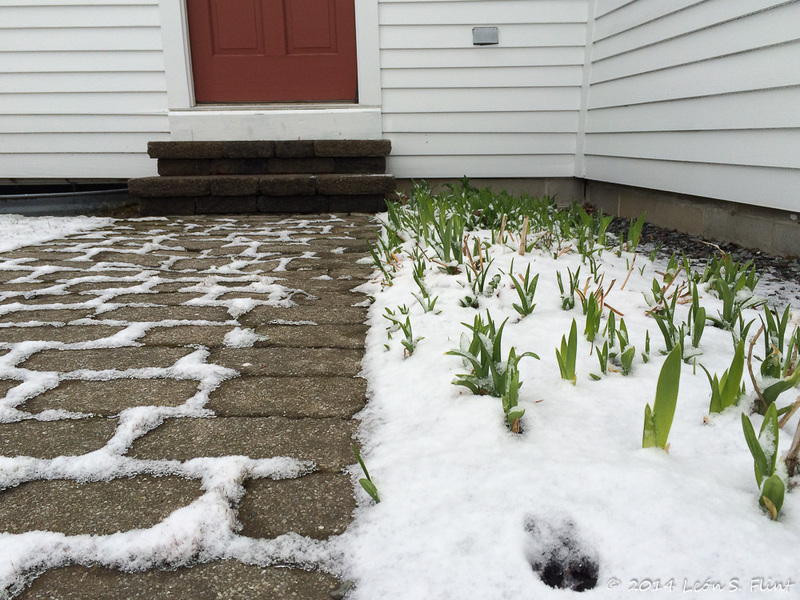 The same thing happened to us here in Ohio – the daffodils finally bloomed full force and the next day they were frozen under a blanket of snow. Love your titles and your capture of the bird at his work. Incredible! It really can’t snow any more, why it’s almost May! Your early bird capture is amazing. Great post! What a wonderful collection of photos and captions–very clever. My favorite is the top one, especially the old car captured in the crook of the tree. I was wondering who got snow! 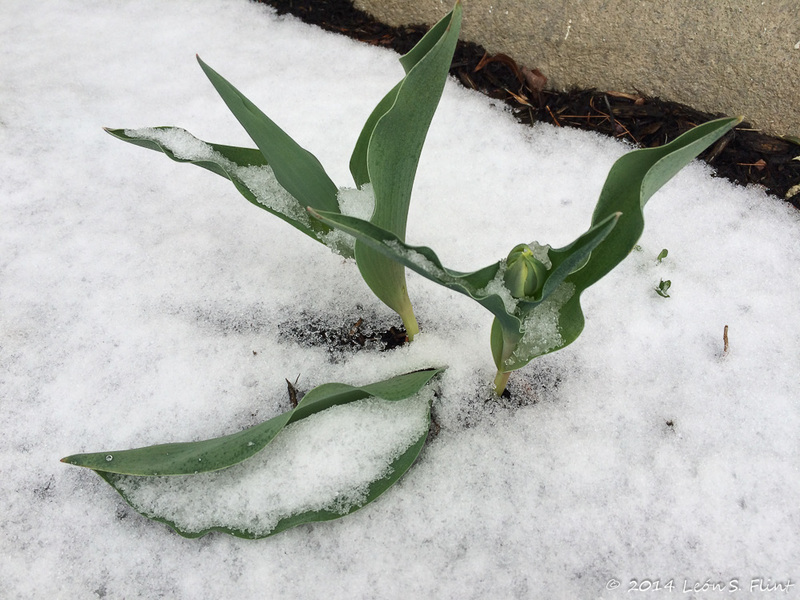 We had a couple of frosted mornings, but it didn’t seem to bother the spring flowers! I love, love, love the robin and her worm! There was snow where I was in Northern Indiana, too. Crazy! 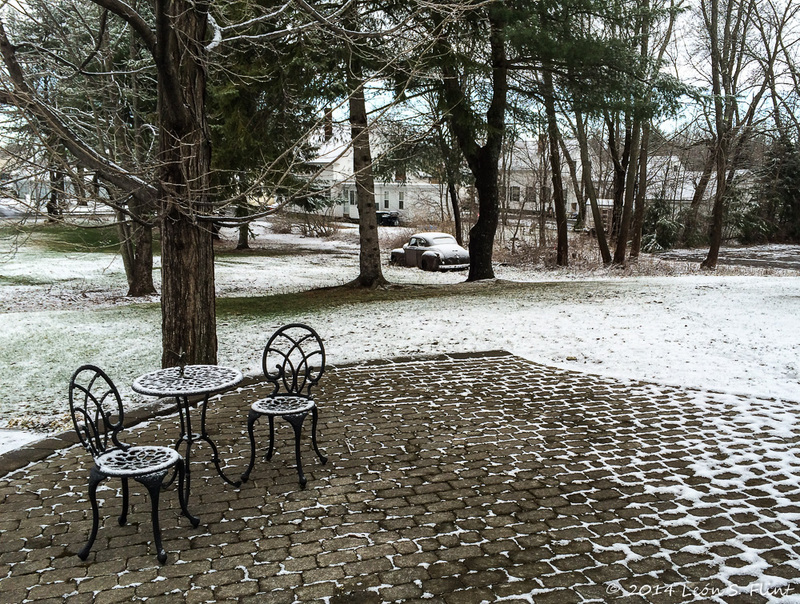 Where is spring anyway. Love coming for a visit. wonderful shots, I hope it heats up soon! Oh no!!!!! 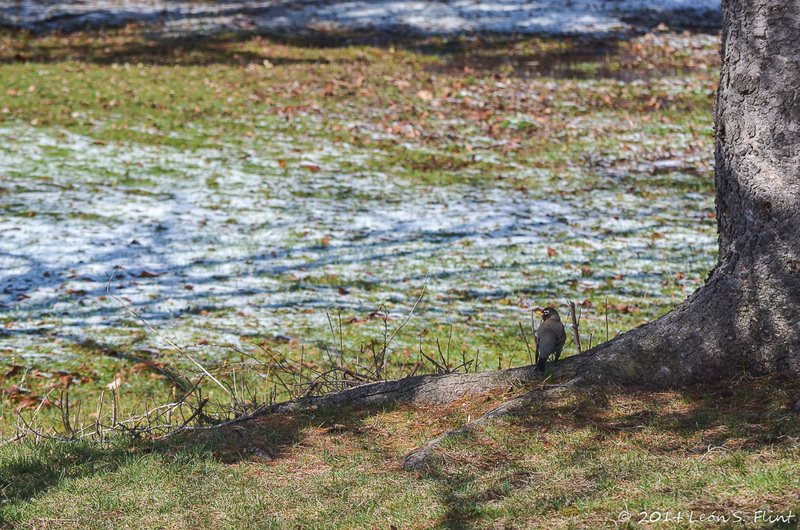 We had flooding rains here, but NO SNOW! Thank goodness. But I DID wonder how much snow this would have all been, if it had been colder!